Another beautiful expression of this dialectical tension in music can be found in David Bazan’s powerful album Curse Your Branches. It is an album that reflects Bazan’s passionate and decisive critique of his faith. Yet, he has gone on to talk of how this album, in its rejection of faith, might actually be his best expression of faith. It is an album that beautifully reflects the dialectic tension you find within the psalms. His latest book is the beautiful In the Shelter, and he has an album of music and poetry called Hymns to Swear by. I’ve included this song (from Hymns to Swear by), because it represents a beautiful musical example of the dialectic process I spoke of on the first day. 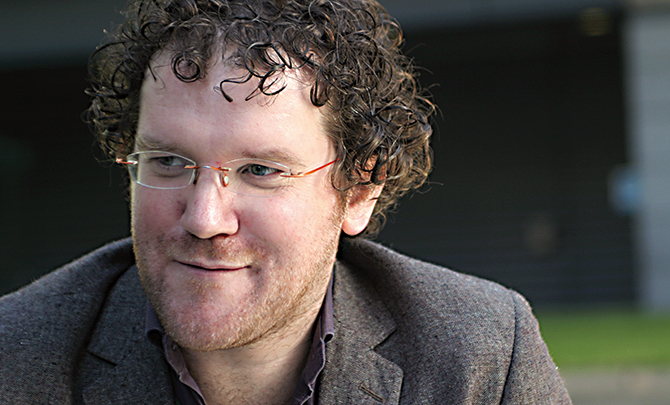 Pádraig has written a piece of music that goes into the heart of questioning, struggle and anger, but in a way that sublimates them in the expression of a wider, deeper and richer expression of faith. Another interesting thing about the song is the way that all the words are derived diretly from the book of Jeremiah. It is a beautiful reflection on the struggle of faith and how that struggle lies at the very heart of faith.